Kenmode adds cross-border materials management expertise to meet growing demand. Our customers are ramping up production, and we are expanding our capabilities to meet increasing demand. Kenmode Precision Metal Stamping has hired Jim Shotsberger as Director of Purchasing and Customer Service. He brings more than 20 years of experience in materials and supply chain management for precision metal stamping companies with operations in the U.S. and Mexico. At Kenmode, his new position combines purchasing and customer service to coordinate the sourcing and purchasing of materials to ensure excellent quality and a steady supply to meet customers’ manufacturing requirements. He has extensive experience in meeting the highest standards for quality and efficiency, including ISO, PPAP, and LEAN experience in the TS16949 quality system. 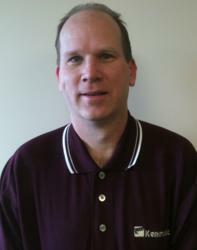 Before joining Kenmode, Mr. Shotsberger was Director of Corporate Purchasing for IMS Buhrke-Olson. In that position, he was responsible for managing ferrous and nonferrous metals, metal recycling, metal finishing, and service contracts for a three-division stamping and assembly company, serving the automotive, electronics and consumer products industries. Earlier, he was Corporate Purchasing Manager for Connector Service Corporation, where he oversaw precious and non-precious metals purchasing for the electronics and automotive industries. He earned a bachelor’s degree in marketing and a certificate in purchasing management from DePaul University, Chicago. Since its founding in 1960, Kenmode has built a reputation for strict adherence to uncompromised quality and performance standards in the manufacture of complex, high-precision custom metal stampings and assemblies for the automotive, electronics, consumer goods, insert molding, and medical device industries. Today, Kenmode fields one of the largest and most experienced engineering, design, and tool & die teams in the industry, handling a wide range of materials and component parts, from micro-miniature medical stampings to large automotive stampings.